Lyft's post IPO trading has been subpar. It could be about to get much worse. Lyft's business model is broken. I believe Lyft will never be profitable unless they make significant in-roads on an autonomous driving platform. I believe Lyft is extremely far behind competitors like GM, TSLA, and Waymo in autonomous driving technology. The only reason investors might purchase Lyft post IPO is the company's current growth rate. However, we could be reaching saturation in the US market. This means Lyft will need international expansion to fuel growth longer term. International expansion comes with its own set of challenges. Finally, Lyft has an egregious valuation. When Uber comes to market, it will most likely steal much of Lyft's "thunder." Buying will likely dry up, leading to a decline in the stock. Initiating coverage at sell, no PT. 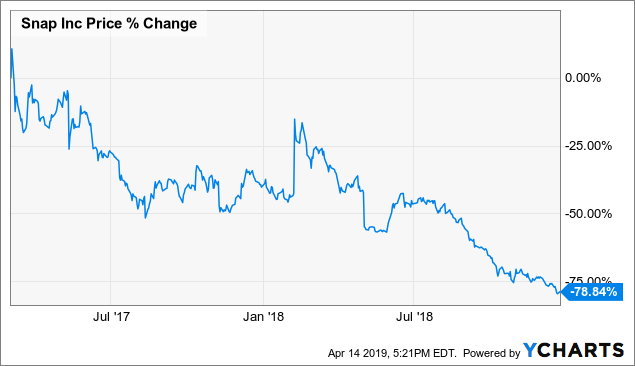 In my opinion, Lyft (NASDAQ:LYFT) had some of the worst IPO execution I have seen since the Facebook IPO (NASDAQ:FB) if you look at it from the trading perspective. Leading up to the IPO, the company initially positioned itself in a $62-$68 pricing range. However, they raised this to $72. Initially, this signaled high levels of demand for the IPO. Initially, the stock gapped up to a high of $88.60, an increase of ~23% from the IPO price. As the day went on, the stock began to decline. It ended up falling to a closing price of $78.29, down ~12% from the days highs. This may indicate declining demand as the day went on. On the second day of trading, the stock fell to a closing price of $69.01, marking a decline of ~12%. The degree to which Lyft's shares declined sparked fears about the success of the IPO. For Lyft's business, the IPO was a success, raising $2.34 billion in cash on top of its existing cash pile of $518 million. This means Lyft's cash pile should reach $2.858 billion post IPO, offering a funding cushion to offset what could be heavy losses. For shareholders who bought post IPO, success was the last word that came to mind. The tenacity of the price decline signaled weak initial demand for the IPO. Lyft reminds me of Facebook after its IPO. While Lyft's IPO wasn't as lackluster in terms of price action as Facebook's, controversy surrounded both. Weak initial demand for Lyft's IPO could signal mixed/negative investor sentiment going forward, negatively impacting the stock as catalysts (like earnings reports) emerge. Couple this with reports of early investor Carl Icahn selling his stock, and there may be a period of heightened investor uncertainty and increased volatility. These four data points will help gauge platform engagement and how well platform monetization is progressing. Let's start with active riders. The first metric when analyzing Lyft's growth is how quickly Lyft is growing its rider base. In the last few years, Lyft, rather than expanding internationally, has heavily investment in entrenching itself domestically. This makes sense. After all, platforms like Uber (UBER) and Lyft are coming under increased regulatory scrutiny for a host of practices. In some international areas, platforms like Lyft and Uber have been outright banned. Why expand into a turbulent international market, when there is plenty of room to grow domestically? Let's look at Lyft's rider count growth. Lyft continues to add at least one million users each quarter. However, the Y/Y comparable numbers are starting to worsen. In Q4 2017, Lyft improved its rider count by 6 million riders, a 90% increase. In Q4 2018, Lyft increased its rider count by (again) 6 million riders, a 48% increase. Rider growth is beginning to decelerate. This may be misleading, however, as Lyft is consistently adding more than one million riders on a sequential basis. The problem with Lyft is that I believe Lyft's rider growth is setting up for stagnation longer term. Lyft made abundantly clear in their S-1 SEC filing that they didn't anticipate profitability for years to come. So, if investors are buying Lyft, they are buying it for the next 5-10 years, not the next 12-18 months. The problem is, you have to make a bet that ridesharing goes mainstream rather than be a niche part of the transportation market. Could ridesharing go mainstream? It could, in 5 years-plus. There are a few problems that may limit rider growth. Firstly, most of the appeal for ridesharing may be in extremely urbanized areas like New York City or Los Angeles, where the cost of ownership and practicality of owning a car outright is not ideal. US 16 year olds with drivers license has declined from 46% in 1983 to 26% in 2016. In 2018, ~300K Lyft customers got rid of their car. On the first point, there's no direct correlation between ridesharing and new driver's license registrations. Lyft was created in 2012. Uber was created in 2009. To put the blame of the decline on ridesharing is naive. Ridesharing hasn't gained major popularity until the last couple of years. With regard to the second argument, this simply proves my point about ridesharing being a niche particular to extremely urban areas where purchasing a car really isn't as much of an option. Let's put this 300K number in context to the overall base. Only ~1.6% of Lyft's total rider base ditched their cars. While Lyft customers are becoming decreasingly reliant on their car, ridesharing does not replace cars. These 300K customers are most likely customers from areas like San Francisco, Los Angeles, New York, and Washington D.C.
Another point I would like to make has to do with the cultural barrier in the US of foregoing car ownership. One key measure of socioeconomic advancement (along with owning your own home) is owning your own car. While younger generations are more likely to use Lyft and Uber, it's unlikely that culture dynamics among US consumers will turn around so viciously toward a ridesharing centric transportation economy. In my view, ridesharing will be a niche market unless the expectation is a near "180" culture overall. The next piece of the "growth pie" is the idea of increasing levels of monetization. One of the good things about Lyft's business model is the company's ability to generate recurring revenue. Unlike traditional, established automakers, Lyft focuses more on retaining customers. When an automaker sells a car, their economic objective is to move on to a new consumer rather than ensure the quality of the consumer that just bought it. Lyft is unique. Transportation, whether it be your daily commute or going grocery shopping, is recurring. Because of this, Lyft is able to generate recurring revenue as long as customers continue to transport from place to place using the Lyft platform. Lyft continues to maintain strong high 20s to low 30s ARPU (average revenue per user) growth as riders become less reliant on their own vehicles and increasingly reliant on ridesharing platforms like Lyft and Uber. The company's ability to maintain solid ARPU growth is impressive. However, as with rider growth headwinds, monetization headwinds may hurt the company longer term. Let's look at Lyft's revenue per ride. At the end of the day, platforms like Uber and Lyft make money off of rides, not riders. Let's hypothetically say that pricing (revenue per rides) was flat Y/Y, rather than up 27%. On 178.4 million rides, that translates to $528.06 million in revenue, an increase of 53% Y/Y. Factoring pricing growth back into the equation, and we get growth of 94% Y/Y. Without increased pricing, Lyft's top-line growth would have been substantially lower than the 94% they reported. Longer term, I believe that revenue per ride will stagnate or even decline. There are a couple reasons for this belief. First of all, the ridesharing market, even in its current duopolistic state, is extremely competitive. Second of all, autonomous driving will lead to inevitable cost per ride reductions. Let's look at this in more depth. A phenomenon whereby a product or service gains additional value as more people use it. Lyft only makes money when an economic transaction between a rider and a driver takes place. Lyft then receives a "take rate," usually 30% of the transaction's value. This is Lyft's main source of revenue. However, in order for Lyft to get a take rate of a transaction, there has to be an underlying transaction. The platform is built on drivers giving riders a ride, for a fee. As the number of available rides grows (because of an increase in drivers), the more likely one is to purchase a ride. Having more drivers on the network and more popularity than competitors is necessary to claiming market share and maintaining their current 30% take rates. Far more riders operate on the Uber platform than on the Lyft platform. In addition, Uber drivers make more money from Uber than Lyft drivers make on Lyft. While this makes the value proposition for Lyft increase, the difference between pricing on Lyft and Uber is minuscule, negligible for most riders. Because Uber has more drivers on the platform, Uber riders spend less time waiting for rides, and have more flexibility and customization as to what they ride. Uber utilizes its large network to benefit its riders and keep its high levels of market share over Lyft. At the end of the day, Uber doesn't have anything tangible (excluding the network effects) to differentiate themselves from competitors like Lyft. The remainder of the competitive advantages has to do with intangibles like brand. However, Lyft and Uber aren't fashion companies, smartphone makers, or automobile manufacturers. They are ridesharing services, where the relevancy of the brand is less likely to have an impact on customers. Basically, Lyft has nothing truly unique about its platform. The one thing that a company can do to keep competition away is cut prices. By cutting prices, however, Lyft's gross margins will decline, making profitability even more difficult to achieve than it already is. Overall, the current ridesharing competition leaves Lyft in a difficult spot. If it wants to eventually be a profitable company, than cutting prices is not an option. If it wants to increase its customer base, than pricing cuts maybe one of the only options it has. Another key set of problems with Lyft's operating model is their classification of labor and insurance related costs. This could effect their ability to break into other, international markets. Lyft considers its driver to be general contractors rather than paid employees. Thus, Lyft is not prone to its employees unionizing, minimum wage requirements, or benefits/insurance. This could be one of the most important elements of the bear thesis on Lyft. While the media is focused on social media's regulation, ridesharing could be the more controversial business model. The biggest problem with the way Lyft recognizes its drivers is the fact that Lyft drivers are considered general contractors rather than paid employees. While this lowers the costs of the business model, in presents multiple risks. I believe that Lyft's current business model is broken, as there's no path (excluding autonomous driving) to profitability. What could damage Lyft's business model even more is if they are forced into taking on their "general contractor" drivers as salaried employees. It's well known that Lyft and Uber drivers make far below an living wage, far below even minimum wage. By booking these people as general contractors however, Lyft doesn't have to dictate wages. If these drivers were to become paid employees of Lyft, as some regulators in the US and abroad have been pushing for, Lyft would have to raise wages to minimum wage, cover for increased benefits, insurance, etc. One of the unique things about the ridesharing business model is that the platform (Lyft, Uber, etc.) allows drivers to be independent of the platform. Some international and domestic regulators have argued that this prevents Lyft and Uber drivers from earning a living, even minimum wage. Thus, they believe Lyft should hire these "contractors" on to provide a living wage for them. In addition, Lyft has to deal with the fact that ridesharing platforms are marking the beginning of the end of the age of taxis. Because taxi drivers still outnumber Lyft/Uber drivers, taxi drivers have been considerably disrupted by the popularity of Lyft and Uber. Overall, Lyft could be under increased pressure to take on Lyft drivers as employees. This could create an even greater increase in operating expenses, pushing profitability even further out. The next issue with Lyft has to do with accounting for insurance related expenses. While most of the time drivers use their own vehicles on the service, Lyft itself takes on the responsibility of insuring the vehicle and the passengers within the vehicle. They book these insurance costs under the cost of goods sold portion of the income statement. Lyft directly inherits the risk of driver accidents on its books. The last and potentially most relevant issue ties in to my prior point about Lyft's potential labor issues. My point has to do with Lyft's ability to expand internationally. As I have outlined earlier in my article, ridesharing could be a more niche market than investors believe. While this could be a quite substantial niche, it's unlikely that this becomes the megatrend Lyft bulls are hoping for. If anything, ridesharing may be limited to highly urban areas where owning and operating a car is not feasible, and ridesharing a far more reasonable and convenient option. In my view, barriers to entry in international markets are far greater than in the domestic United States and Canadian markets. For one thing, international regulators are more likely to be strict on US companies entering their markets. This has been one of the key reasons for Uber pulling out of China and other international markets in Asia. In addition to regulatory overhang, there's local competition. In China for example, Didi is the largest competitor. In Southeast Asia, GrabTaxi is one of the largest players. A lack of brand recognition in international markets makes it more difficult to tap into if you are Uber or Lyft. It all really boils down to network effects in each individual economy. Ever since Travis Kalanick was replaced, Uber has strategically moved out of international markets to focus on safer more developed domestic markets. Lyft has made staying local its story, with international expansion being left to Uber. As Uber scales downward, they will focus more on the US market, hurting Lyft's growth prospects. In my opinion, Lyft's only real path to profitability is solid utilization of autonomous driving in their ridesharing network. There are two approaches Lyft can take when it comes to autonomous driving. The first approach is to develop Lyft's own proprietary autonomous driving software and/or hardware technology for deployment across its fleet. For example, they could purchase vehicles from other automakers, install the necessary software and/or hardware into the vehicle and add it to the fleet. The most important part about this is the idea that Lyft is the developer of its own autonomous driving software. Over the long haul, this prevents the need for Lyft to outsource its autonomous driving software needs, reducing costs. From what I have seen, Lyft is trying to develop its own software from autonomous driving. Without getting too technical, autonomous driving software improves with more experience. This "experience" is synonymous with data. As the amount of data increases, the software becomes increasingly accurate and powerful. What ridesharing platforms like Uber and Lyft have to their advantage is their ability to leverage the miles driven on their platform to improve the autonomous software. Lyft and Uber have hard data that could be advantageous in the long run vs. platforms like Waymo that have far less actionable data. The problem is, autonomous driving software is extremely competitive. Let's look at Tesla (NASDAQ:TSLA) for example. On April 22, Tesla will be hosting an autonomy investor day event focused solely on autonomous driving news. Tesla has set ambitious (to say the least) targets on the progress of their autonomous driving software. One thing Elon Musk has made clear, however, is that Tesla is setting up to compete with Lyft and Uber long term. 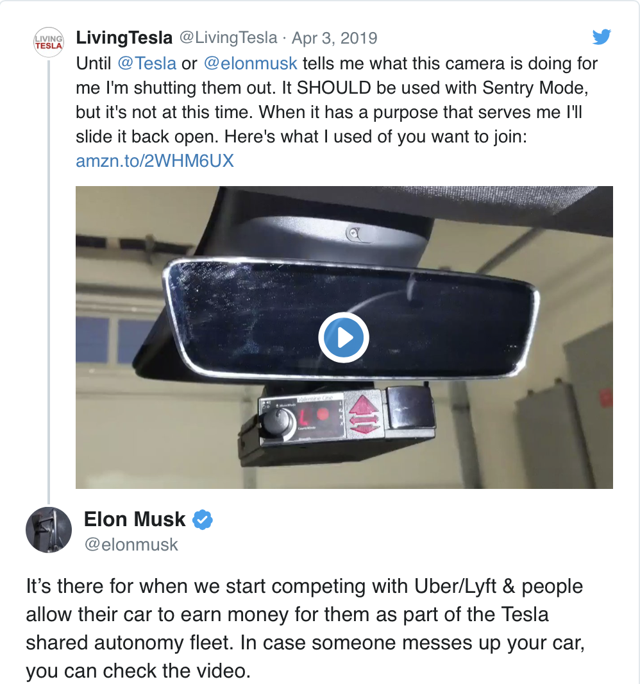 Tesla, in my opinion, is a unique participant in the autonomous driving market. All new Teslas produced are produced with autonomous driving hardware, with semi-autonomous software being available at a fee. Tesla is able to utilize autonomous miles to make improvements to their software. Whereas Lyft and Uber, because such a small portion of their overall miles are driven semi-autonomously (if any), have less leverage. Outside of Tesla, competitors like Waymo (NASDAQ:GOOG)(NASDAQ:GOOGL) and GM (NYSE:GM) are leaders in the market. There are dozens of companies devoted to autonomous driving in the future. Many of these companies (Tesla, GM, Uber, Alphabet) have much more capital and resources at their disposal to devote to autonomous driving technology. Simply put, Lyft's competition is ahead of them. If Lyft wants to gain ground on the competition, they will need access to far more capital and far more talent. At this point, Lyft is a laggard in autonomous driving. If autonomous driving is Lyft's only real path to profitability, yet they lag the competition in autonomous driving, will the company ever be profitable? There are three final points I want to touch upon when it comes to my bear thesis on Lyft. Uber's IPO, Lyft's share voting structure, and Lyft's mind boggling valuation. Let's start with Uber's IPO. As I mentioned previously, and as the current price action entails, Lyft's post-IPO trading has been subpar, to say the least. This lack of solid trading action could be further amplified by a strong IPO from competitor Uber. Uber already filed its S-1 and is preparing for an IPO. It's unclear whether or not Uber begins trading in April or May, but I believe an Uber IPO may eat into Lyft's trading. In general, I (and I'm not the only one) believe Uber's business model and its stock are less risky than Lyft. The business is far larger and has far better economic footing than Lyft. Thus, institutional money may flow out of Lyft and towards its "bigger sibling" Uber. This could cause share demand to crater, as Lyft is yet to gain a material retail following. As demand craters, prices decline. If anything, Uber's IPO will do more harm than good to Lyft's price action. Next up, I'm skeptical of an emerging theme among new IPOs pioneered by companies like Facebook. The dual-share structure allows founders/management to have far more control over the company than public stockholders. Founders do this by issuing "founder exclusive" or management exclusive private supervoting shares. These shares allow management teams and/or the founders of the company to have nearly direct control over the operations of the business, regardless of what share class A shareholders have to say. Again, this isn't as much of a problem with Lyft in particular, as much as it is a problem with new IPOs. As a matter of fact, I believe Lyft's share structure has been better than some IPOs before it. Its just not an ideal voting structure for new shareholders. Finally, anybody who reads my content knows that valuation is one of the most important aspects of analyzing a company, in my view. For the most part, I run discounted cash flow models on the businesses I cover. However, due to the lack of profitability and path to profitability, I will not be using a DCF model on Lyft. As a matter of fact, I won't set a price target on the stock. Because Lyft is the only publicly-traded ridesharing company on the market right now, it's also difficult to build a relative valuation. Per Nasdaq, Lyft has an outstanding share count of 273,597,091. At a closing price of $59.90, this puts Lyft's valuation at $16.142 billion. On 2018 revenues of $2.156 billion, this puts Lyft's current valuation at ~7.5X sales. With all the issues described in this article, does Lyft still deserve a 7.5X sales multiple? I'll let you decide. Lyft: A Dot-Com Era Tech Bubble? The Next Snap? In my view, Lyft's trading over the next several years will be disastrous, as the Street begins waking up to reality. Lyft is a FOMO (fear of missing out) stock. While optimists may believe the company is set to expand and grow into a new valuation, significant headwinds persist, making such a rally extremely difficult. I would like to direct readers to the Snap (NYSE:SNAP) chart. This could be what Lyft looks like in the coming years. This could be another Snap. If anything, Lyft may be worse than Snap longer-term. Disclosure: I am/we are long FB, GOOG, TSLA. I wrote this article myself, and it expresses my own opinions. I am not receiving compensation for it (other than from Seeking Alpha). I have no business relationship with any company whose stock is mentioned in this article. Additional disclosure: At this point I have no short position in LYFT shares. However, over the next 72 hours, I may initiate a short position in the form of put options. My initiation of such position is dependent upon price action. Your feedback matters to us! Want to share your opinion on this article? Add a comment. Disagree with this article? Submit your own.